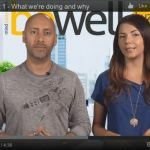 (BeWellBuzz) Detoxification, as the name suggests, is a process by which toxins or poisonous substances are removed from your body. Basically, it means cleansing of the blood. 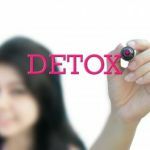 By eliminating toxins and then feeding your body with healthy nutrients, detoxification can help protect you from many diseases, and it can renew your ability to maintain optimum health. Alcohol Detoxification: This is done to overcome addiction to alcohol. Alcohol addiction does not only involve the desire to consume alcohol, but over a period of time, the muscles in the body begin to rely on alcohol for their normal functioning. Because of this, alcohol detoxification can be extremely painful, and the patient may even experience withdrawal symptoms. Drug Detoxification: This is often the first step in treating drug addicts. The patient intending to beat drug addiction will undergo withdrawal symptoms, while their body is relieved from the toxins accumulated due to the chronic use of drugs. Metabolic detoxification: Due to the metabolism of essential nutrients, toxins are produced in the body every day. These toxins need to get excreted from the body. There are different kinds of natural and synthesized detoxifying agents that help in purging harmful substances out of the body. Not many of us know that grapes are natural detoxifiers. The scientific name for grapes is Vitis Vinifera, and they are specifically berries that grow on deciduous woody vines. They grow in clusters of as small as 15 to as large as 300. Based on their pigmentation, grapes come in a variety of colors like black, blue, purple or white grapes. Grapes are found in both seed and seedless variety. They can be consumed raw or used in juices, jams, jellies and wine. How To Detoxify With Grapes? Detoxification using grapes is done by consuming only water and grapes. Grapes contain procyanidolic oligomers (PCOs) that act as antioxidants. PCO is the flavonoid that gives color, juiciness and flavor to the grapes. Therefore, darker the grapes, higher is the antioxidant property and better is the detoxification. 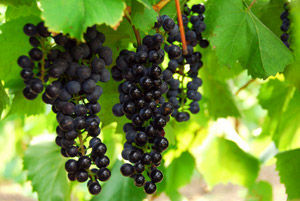 Black and purple grapes are considered to be the best for detoxification. The target for antioxidants is free radicals. These free radicals are present in toxins and other poisonous substances that enter our system through various sources. Besides extrinsic factors, there are several by-products of energy synthesis in our body. Antioxidants are substances that target these harmful free radicals and neutralize them into harmless substances. Energy production in the cell is not a simple process. There are various reactants or raw materials, enzymes and even energy required for this process. Many reactants are converted in to products releasing energy in the form of chemicals. In this multistep process, free radicals are also formed. Why are free radicals deadly? Free radicals released from either energy production or by toxins are highly reactive and unstable. Chemical substances, by their very nature, have a tendency to attain maximum stability and become less reactive. To achieve this, they react with other substances and change their molecular structure. Therefore, these free radicals can react and oxidise with the outer layers or membranes of normal living cells and cause their degeneration and disturbing the overall functioning of the body. This causes several neurodegenerative diseases, cardiac disorders, cancers, thinning of the blood vessels, and weakening of the immune system. A few days prior to detox process, one must maintain a healthy and light diet of salads avoiding high cholesterol foods. 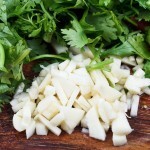 This prepares the body for the detoxification process. The process is quite simple to follow. A bunch of grapes is consumed every two to three hours. About two kilos of grapes per day are sufficient for the body and sufficient quantities of water must also be part of the intake. Water promotes various biochemical reactions in the body apart from helping the detoxification process. Care must be taken that distilled (ultra-pure) water must not be consumed as it tends to absorb salts from the cells. As an alternative, grapes can be strained into juice and be consumed. Approximately eight glasses of grape juice need to be consumed per day. 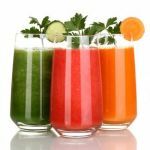 One of the obvious reasons for detoxification is to get rid of toxins and parasites out of your system. A toxin free system has a good functioning immune system. This is because toxins tend to cause an overload in the body, which requires additional energy for proper body functions. Detoxification helps prevent chronic diseases such as neurological and cardiac disorders and cancers. Toxins interfere with the normal functioning of the body and cause problems like aches, fatigue and depression. A body free of toxins functions more smoothly and results in a better quality of life. Many toxins are accumulated because of irregular and unhealthy eating habits. These toxins are accumulated in the fat cells or adipocytes. Detoxification helps in weight loss apart from removing toxins from the body. Since our body organ functioning is interdependent, malfunctioning of one affects all others. Toxins tend to cause distortions in these body digestion processes and create hormonal imbalances. Detoxification helps restore the homeostasis. An unhealthy lifestyle is one of the leading causes for toxin accumulation in the body. This is manifested in the form of premature aging. Detoxification prevents damage to the cells, and hence it helps maintain a healthy skin!